"In both modern and ancient times, a medium is a person who communicates with spirits, usually apart from the use of witchcraft. A medium is, literally, an “intermediary” between the spirit world and ours. The Bible condemns the practice of mediumship, and attempting to speak to the dead , through séances or other means, is expressly forbidden"(https://www.gotquestions.org/what-is-a-medium.html). I was introduced into the world of mediums through two tv shows "Long Island Medium" and "Hollywood Medium". In "Long Island Medium" Theresa Caputo communicates with those who are no longer living and sends messages to their family and friends. She sees people in private settings, group settings, and sometimes people just come across while she's out and about. 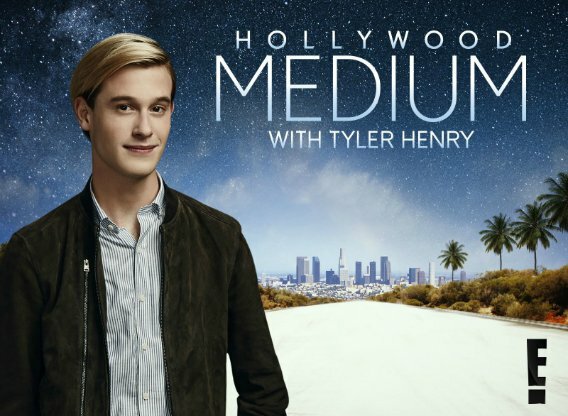 "In Hollywood Medium" Tyler Henry communicates messages from those who are no longer living to celebrities in their homes. Both of these shows had me convinced that mediums truly do have the ability to communicate with spirit and pass on messages. However, when learning about the power of ambiguous specificity and Nostradamus's ability to predict so many events I've gone back to reexamine some episodes. I can definitely see some vagueness at time and them saying things and allowing the person they are reading to connect the dots but they also have said things that have left me completely shocked. I'm extremely interested in meeting with a medium and see what type of encounter I would have. I was a full believer but after the lecture on The End of the World I feel as I am a skeptic again. I definitely relate to what you are saying! As someone who constantly watched Crossing Over with John Edwards, I always found mediums to be fascinating. While in general, I am typically pretty skeptical, I have always been drawn in by the things these psychics said that really were strong connections. However, like you the lecture made me reevaluate the statements some psychics make as being a little too broad. It was a very interesting lecture for sure. I completely understand your point-of-view when it comes to Mediums. I personally never believed that Mediums could indeed talk to the deceased and the paranormal. My mom told me once that she visited a psychic years ago when she was diagnosed with MS. At the time, she knew her diagnosis but was curious to what a psychic had to say. The psychic predicted that my mom would have abundant health---the psychic was wrong. My mom has been living with MS for nearly 15 years and it doesn't get easier with MS since there is currently no cure for this debilitating disease. I actually rad "Why People Believe Weird Things" by Michael Shermer and he openly discusses the fact that psychics and mediums tend to be vague and say what only people want to hear (the positives). In fact, in most cases, the mediums and psychics obtain information on their subjects prior to their meeting for a reading.